For Irish-Americans living in the United States, the biggest holiday of the year is on its way. 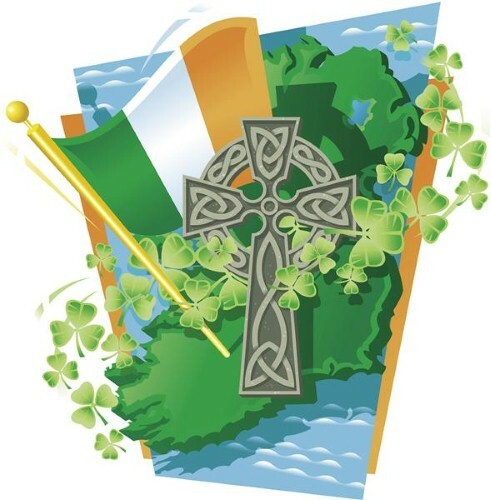 On March 17th, 2012, people all over the country will come together to celebrate the patron saint of Ireland with incredible parades, Gaelic cooking and a fairly significant consumption of alcoholic beverages. A small business would do well to take advantage of this holiday, and promotional products that bring it to mind can project a positive brand image to even a person without any Irish heritage. There are several different ways to approach a promotional advertising campaign on St. Patrick’s Day. No matter what methods you employ, your marketing strategies should be employed well before March to result in the maximum return on investment. Take a look at the following tips for ideas on how to successfully utilize promotional products during this festive holiday. It is commonly said that “everyone is a little Irish” on St. Patrick’s Day, but this is certainly not the case in reality. Therefore, your promotional products can feature information on St. Patrick or the country of Ireland. Believe it or not, many people actually enjoy learning the history of a particular nation and culture, and a custom coffee mug with significant Irish dates will be widely circulated around the office on St. Patrick’s Day. This can ensure high visibility, something that many managers strive to accomplish at any time of the year. Simply look toward the colors of Ireland’s flag for ideas on a color scheme for your promotional marketing blueprint. These three colors should be incorporated together for optimum results, such as striped promotional pens. If you only wish to choose one color, the safest option is green – one merely needs to look at the millions of shamrocks around the country to see proof of this suggestion. However, a small business should make sure not to go overboard on incorporating these colors, because despite the Irish theme, no one will really want to hang up a solid-green wall calendar. The design should be more subtle – for example, promotional USB keys can have a light green stripe running the length of the device. Though St. Patrick’s Day is associated with a stigma of heavy drinking along with corned beef and cabbage, the fact remains that many people do not consume alcohol or eat meat. Therefore, promotional products that target these stereotypes (such a bottle openers) will not be very effective. Instead, your business should try to reach out to a universal and more wholesome celebration – a parade. Parades take place all over the country on this day, and people are always looking to make the most out of these marches. Potential customers will love custom clothing that promotes their love for the Irish, and green sports bottles can keep them hydrated in packed crowds. Promotional items can also be included in a gift bag with “parade gear” – inflatable chairs, green streamers and kazoos can enhance a spectator’s experience. During future parades, customers will not forget who provided their sidewalk furniture. On St. Patrick’s Day, the overall focus of promotional products should be on wholesome cultural awareness. Stay away from alcohol references and other stereotypical themes that could result in a negative brand image, and avoid business gifts that will only reach out to a small demographic. If used correctly, promotional advertising can result in a huge boost for smaller companies, and this marketing idea should not be forgotten this March.